Independence day is very special for every Indian, and there is no reason why it should become one of those lazy days where you end up spending the whole day in pajamas. So whether you are partying, or meeting your friends or are attending something special, here are few ways how you can dress up to live up to the spirit of this day…. Go The Fusion way– Wear your favorite colors like this, a white T-shirt, green skirt and an orange scarf. Blue bangles as an addition look perfect for the day. 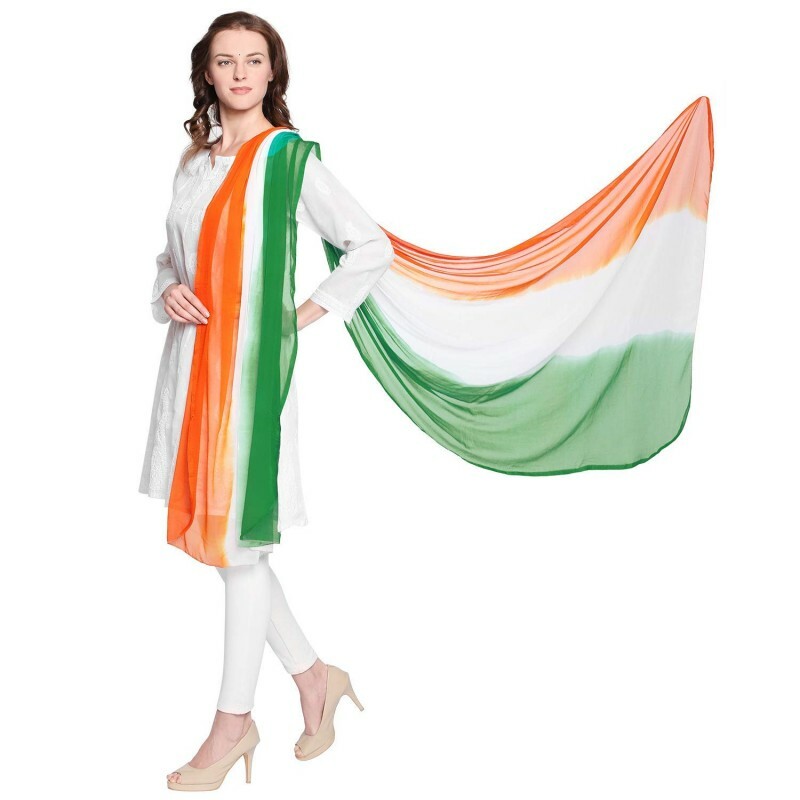 You can also swipe in the colors for the attire or wear one color from top to bottom while wearing other things in accent colors, like a scarf or a bindi or even bangles or shoes. The possibilities are endless. Ethnic Touch– White Kurta’s can be put to best use on an occasion like this. Just grab this tricolor dyed dupatta in chiffon from Amazon, and you are all ready to celebrate this special day. 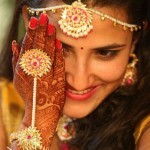 Do not forget to put a matching bindi and bangles for an ethnic touch. 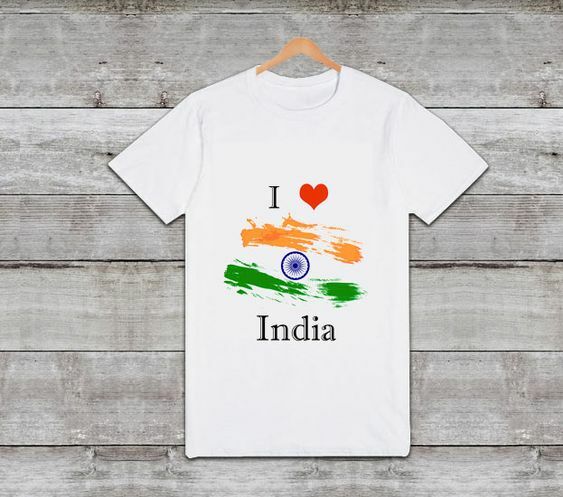 Slogan T-shirts– The easiest way to dress up on this occasion would be to buy a Independence day special slogan T-shirt’s. You can match it up with regular denims, shorts or even with skirts. 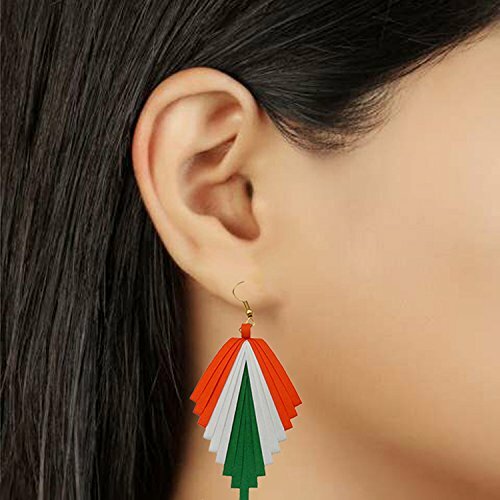 Earring-And need not worry if you do not want to go over the board to celebrate the day, you can still use small fashion accessories like earrings in tricolor to show your belief in the day. 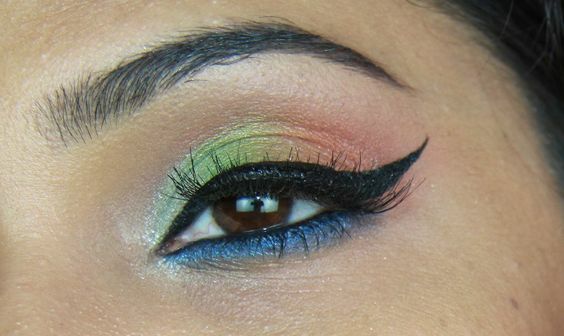 Eye makeup-If you are a makeup lover and if you are partying on this day, then you can also use the tricolors for your eye makeup. 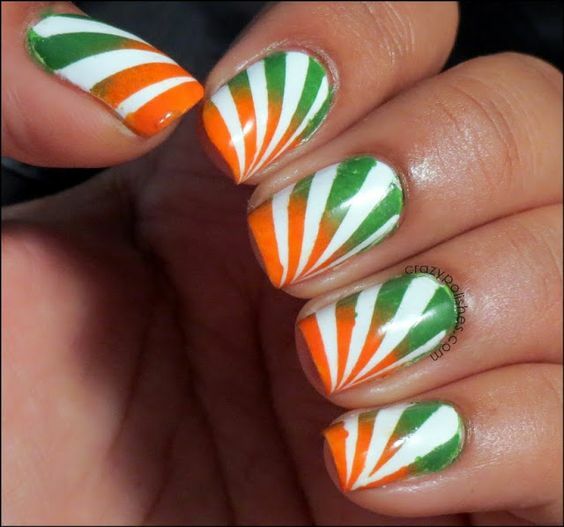 Nail art– If you are not choosing any special makeup or clothes for this occasion, then get a nice nail art done in tricolors. 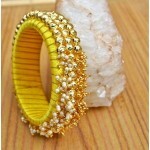 Bangles– If you love wearing bangles, then this is the occasion to wear loads of them. 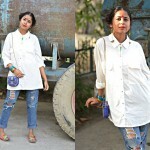 Match it up with a regular white Kurti and denim for a fusion look. 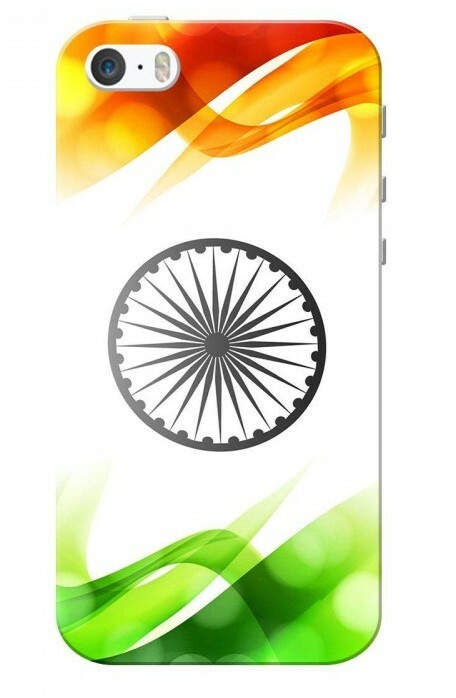 Phone case– Get a nice cover or protector for your phone, they are readily available online in different designs.